Insanity Complex sits on a 28 acre site and is located in the heart of Madison, AL, within walking distance to historic downtown Madison and a short drive to the Huntsville International Airport. Located in Northeast Alabama, Madison is one of the fastest growing cities in the southeastern United States and has one of the highest per capita incomes and a school system that is recognized for scholastic achievements. Insanity Complex opened its doors in 2015 and has steadily become the top corporate event venue. 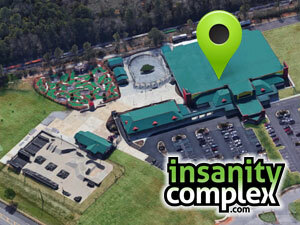 Insanity Complex is a multi-purpose facility focusing on hosting civic events, conferences, and concerts.